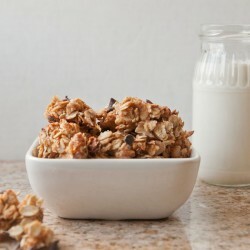 Chocolate Peanut Butter Gluten Free Granola. Breakfast of champions! 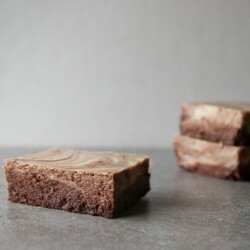 Skinny Cheesecake Swirl Brownies. 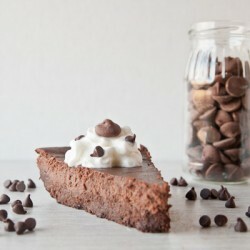 Decadent flourless brownies swirled with creamy cheesecake. Huge taste, skinny waist! 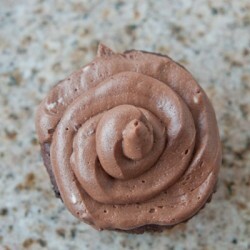 Buttercream icing made with milk, dark, and semi sweet chocolate for a decadent chocolate experience. 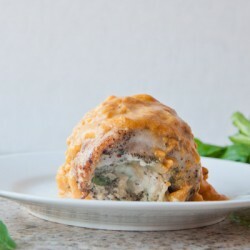 Herbed Ricotta and Parmesan Stuffed Turkey in Creamy Pumpkin Sauce. Perfect for a smaller Thanksgiving gathering. 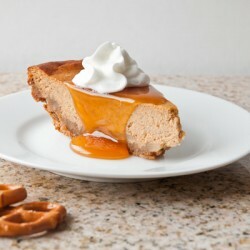 Salted Caramel Pumpkin Cheesecake. The perfect Thanksgiving dessert. Can be gluten free. 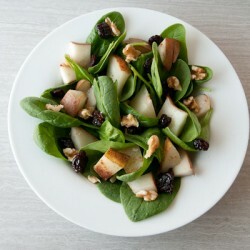 Roasted pears are spiced with cinnamon and ginger and served with green, walnuts and balsamic cranberries. Perfect for Thanksgiving. 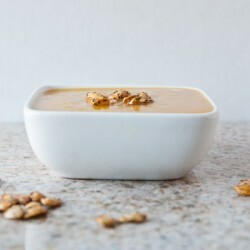 Roasted Gingered Butternut Squash Soup. 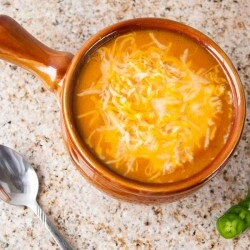 A silky, delicious, and healthy soup perfect as a Thanksgiving appetizer or on a crisp night. 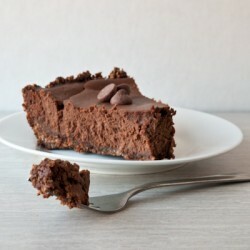 A rich and decadent chocolate cheesecake with no added sugar in a gluten free crust. 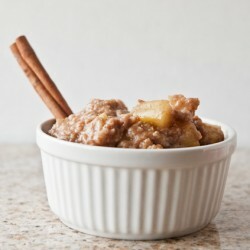 All the taste of a caramel apple in a guilt free breakfast. Can be vegan and gluten free.